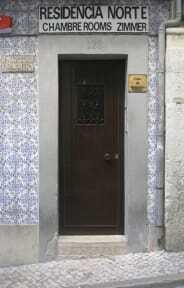 Residencia do Norte v Lisabon, Portugalsko: Zarezervujte nyní! We are close to restaurants, bars and nightclubs. 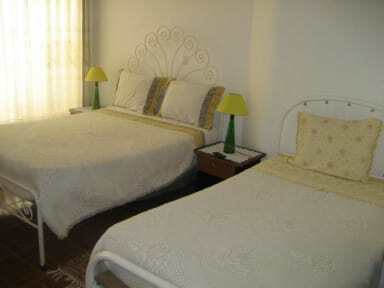 We are also near Chiado (only 3 minutes walking) and we provide comfortable accommodations. On the 3rd floor, there is a small common room where you have an ironing board, a TV and coffee and tea making facilities. We do not have breakfast, although we have an electric kettle, a fridge, a microwaves and a toaster, in the same floor, for customers use. About 250 metres from us, there are some pastry shops where you can have a tasty breakfast for just 2.5€/person. We provide during your staying, the room key (then you have to return it) so that you can feel free to go out, right here in Bairro Alto to listen to 'fado' or to go to any place in Lisbon, with no worries. Late arrivals, please, contact us by phone or email.